The site of Anyang, the last capital of the Shang dynasty, dated to around 1200 to 1000 BCE, is one of the most important sources of knowledge about craft production in Bronze Age China. Excavations of the settlement demonstrate both the advanced level of Shang craft workers and the scale and capacity of the craft industries of the time. However, over the past ninety years, materials unearthed in Anyang by different expeditions have been stored separately in mainland China and Taiwan and rarely considered as a single group, making a thorough study of this important aspect of life in Shang China all but impossible. 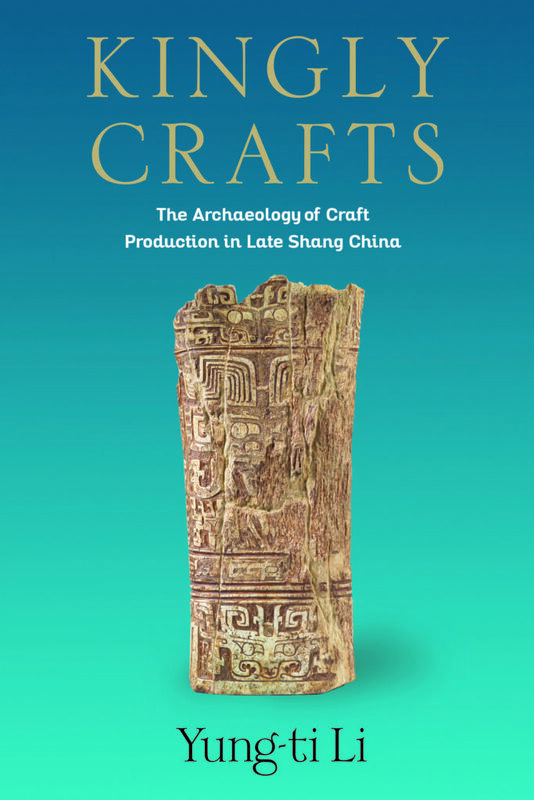 Through a systematic analysis of the archaeological materials available in both mainland China and Taiwan, Kingly Crafts provides a detailed picture of craft production in Anyang and paves the way for a new understanding of how the Shang capital functioned as a metropolis. Kingly Crafts focuses on the craft-producing activities represented archaeologically in Anyang, including bronze casting, bone working, shell and marble inlay working, lithic working, and pottery production, and reviews the material remains, the technology, aspects of operational sequence, and the production organization of the craft industries. While the level of Shang craftsmanship can be observed from an examination of the finished products, Yung-ti Li demonstrates that it is necessary to study workshop remains and their archaeological context to reconstruct the social and political contexts of craft production. By synthesizing and contextualizing the available examples of these remains excavated in Anyang, Kingly Crafts reveals the relationships between the craft industries and the political authority of the late Shang period. Yung-ti Li is associate professor in East Asian languages and civilizations at the University of Chicago. He is the editor of Periphery and Center: Archaeological Research of Anyang and the Surrounding Regions (2016), Gems of Yinxu: Catalogue of Selected Artifacts from Anyang in the Institute of History and Philology (2009), and Archaeologia Sinica Number Four: Ta Ssu K’ung Ts’un—Settlement and Cemeteries of the Yin-Shang and Eastern Chou Periods at Anyang, Honan (2008).